Fire up the oven to 190ºC (170ºC for fan assisted ovens), gas mark 5. In a large bowl, mix together the brown sugar, lime zest and juice, the smoky Spice Mix and the Thick ‘n’ Chunky Mild Salsa. 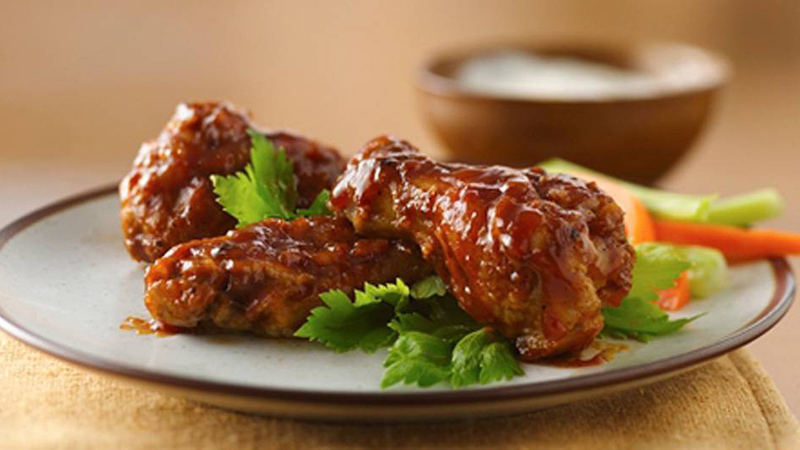 Throw in the juicy chicken wings and drumsticks and coat them in the sweet and smoky salsa. If you have the time, leave them to marinate in the fridge for 2-3 hours to help the flavours really infuse the chicken. Put the chicken into a large roasting tin and get in the pre-heated oven for 45-50 minutes, occasionally turning and basting with the salsa, until it’s golden, sticky and thoroughly cooked. There’s no need for cutlery, wings are the ultimate finger food in El Paso, so pile up some napkins and let everyone dig in.